Who wants to see some of my favorite things in 2014? I’m excited to share this FABULOUS giveaway, for the third year in a row! You want to see what I’m giving away? It may include some amazing gift ideas for yourself or a loved one, too! 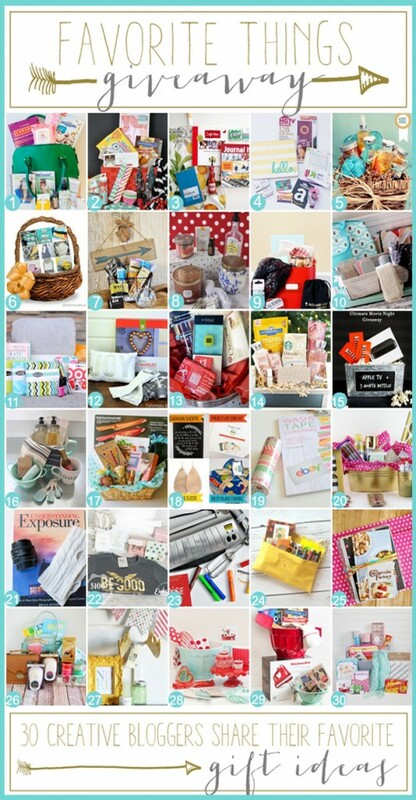 Now, onto what all of my creative blogger friends are giving away, too! Go check out these other amazing gifts! I like to right click and open a bunch of new tabs, myself. We’re thrilled to be participating in the one of my favorite giveaways ever (See what I did there?). I just love to see what other women have as their FAVORITE things. You know, those little things that just make you smile. The things you’d love to fill your cart with every time you hit the store. WE’re joined forces with some powerhouse ladies to create the ultimate FAVORITE THINGS giveaway. (Cue Oprah screaming…..). 1. An insulated cooler in my favorite tribal print. I take these babies everywhere. Soccer treats. Picnic lunches. Potluck dishes. All fit perfectly inside. 2. Waterproof blanket. I always keep one of these in the car. They fold up compact and even fit in my diaper bag. 3. Blinged out Hat. Let’s be honest. I don’t always have time to wash, much less DO my hair. These hats are the perfect solution. People will think you’re so put together….even when you’re NOT! 4. Bakers Twine. This twine makes EVERYTHING look cute. I tie it around packages, cupcakes, mason jars etc. Just adds that little extra special touch. 5. Washi Tape. Who doesn’t love washi? See lots of fun things to do with it HERE. 6. Nails INC Matte Nailpolish. I’m not a huge color girl and I love this neutral color I got from Glossybox. It gives my nails such a clean look. 7. Mineral blush from Natural Source Minerals. I am 100% obsessed with mineral makeup and this is my favorite brand. It goes on so smooth and looks more natural. AND, you can get free shipping on purchases over $20 with code “HDSFREESHIP”. 8. Kraft fabric mini banner. These are the sweetest, simplest touch to every celebration. They can grace the top of your next special baked good. Wouldn’t they be cute on a Thanksgiving pie? 9. Boot Socks. I’m a skinny jeans and boot girl and these boot socks are perfect for Fall/Winter. I love how delicate they look under even a heavy boot. 10. Polka dot baking cups. Whip up some muffins or cupcakes and put them in these baking cups. They’ll look as yummy as they taste! My Flip & Tumble bags! I love the Garnier anti-dark-circle roller. Works fabulously. One of my favorite things would have to be scarves! My favourite thing is fresh snow glittering the grass on Christmas morning. my favorite thing right now is salted caramel hot chocolate. Books, book and more books! My favorite thing is Spirit Goat face polish. LOVING all things Turkey right now! Thanksgiving is my favorite holiday! My current favorite is Starbucks Blonde Roast!! My favorite things are my family, chocolate, and good books! I am crazy for boot socks! One of my favorite things is Christmas Ornaments! I love finding new ornaments that convey a special hobby or interest of my children. Also, whenever we go on vacation, we always purchase an ornament from wherever we went, so we will always have a special remembrance of our trip! Love, love, love that hat! I will need to look for the nail polish as well. The polka dot baking cups. I’m loving wax tarts melting in my kitchen. I love Pecan Pie Larabars! I’m loving Snickerdoodles right now. Cookies and Candles. Jesus. He has done so much me . I love anything pumpkin, especially this time of year. I love a great pair of boots! I like the gift tags. One of my favorite things is cuddling with my hunny! I sure do love gourmet cheeses! I love the waterproof blanket! Love San Fransisco Bay Fog Chaser Coffee K cups! I love the polka dot baking cups! that waterproof blanket looks amazing and is such a genius idea! I love boot socks! One of my absolute favorite things is my 100% Pure Mascara. It’s an all natural, fruit-pigmented mascara. I love snowy days, hot chocolate, and a good book! One of my favorite things is a great fall scarf! Coffee! Especially if it’s Starbucks! I love Bath and Body Works candles. My camera and all the awesome I can capture with it!! One of my favorite things is winter holidays. I love magic eraser sponges for cleaning! My favorite thing at this moment is anything Holiday related. My Tocca lotion for these colder months! My rice bag that I heat in the microwave… it keeps my warm on winter nights when I’m reading. One of my favorite things is my extra long wool/cashmere blend scarf. I hate to be cold! One of my favorites is Philosophy Shower Gels. They have so many wonderful scents. It’s such a treat in the shower! One of my favorite things is lipstick/lipgloss. Can’t get enough! I would love the blinged out hat for my mom. Shes waiting for her hair to grow back from Chemo! She would love! I like Burts Bees Lip Shimmers. Eos lip balm but only the mint! My Alex and Ani bracelet from my husband! My Bible and my super fluffy robe. One of my new favorite things is my new Urban Junket bag! I LOVE Kenra Hot Spray! Can’t live without it! The dark chocolate and sea salt covered almonds from Trader Joes are definitely one of my favorite things! I love anything form the Body Shop! Some of my favorite things are fresh coffee, and pretty mugs! My absolute favourite thing is Thieves essential oil blend! I LOVE the bling hat!!! One of my favorite things is a Pain au Chocolat at the local french bakery…..mmmmmmm soooo goooood! My bag from Etsy my sister in law bought me. My favorite thing is my grandson…he’s 5 and my best buddy EVER!!! Chocolate is definitely one of my favorite things! My favorite things are spending time quilting, sewing, embroidery, watching TV or playing games with my grandchildren. Cooking and caring form my family. I love my thirty-one bags! I am digging the blinged out hat !!! Love skinny jeans & boots! The socks are a great addition to you basket! I love the insulated tote, they can be used so many different ways. One of my favorite things is jumping into the big pile of leaves after you’ve raked them all up for hours. Best thing Ever!!! I love my EOS balms! My favoritest thing is my daughter who is 6! She is so much fun! I love Reeses PB Cups!! I love the boot socks!!! One of my favorite things is dark chocolate! The crisp smell of Fall and the beautiful colors! What a great giveaway. I love things that relate to journaling and books…pretty journals, planners, and pens. I love chocolate! Always a favorite. Cozy warm sweaters are one of my favorite things! My favorite thing lately has been fabric. Lots and lots of fabric! Love my EOS lipbalm and notebooks! I absolutely love the cooler bag! so pretty. I love sketchbooks! I have a few in different sizes so I can travel with one! One of my favorite things is fiber for spinning. Washi tape! I put it on everything!! I love a good book and a cup of hot chocolate.. I can’t be happy that I’m prepared for anything without a thin line Sharpie marker in my purse, and my Burt’s Bees Grapefruit lip balm, so those two things tie for my favorite thing(s). Sweatshirts are one of my favorite things. fall. leaves. crisp air. chill. spending time with the kiddos. The baker’s twine is an absolute must!! Chocolate covered macadamia caramel clusters! agave-lime lattes at the cafe near my office. AMAZING! Flannel sheets and sleeping in! One of my favorite things is Nourish Organic Almond Vanilla lotion! Socks, I love socks! I hate cold toes. Snuggly Blankets are one of my favorite things! Burt’s Bees in pomegrante . My Missy Camera Bag from Jo Totes! I love my Camelbak water bottle. I take it everywhere. One of my favorite things is Lindt’s Lindor Truffles, especially the coconut ones! I have two, books and coffee. I love scented candles, nail polish, and cuddling with my family. I love the Mentha Lip shine gloss from Bath and Body Works! My favorite things are anything that makes my family happy. One of my favorite things is chocolate! I really enjoying my pressure cooker lately. One of my favorite things would have to be cooking – I love it! one of my favorite things is being curled up under a blanket watching a movie while it rains. its so relaxing to me. My favorite thing, by far my camera right now. It’s always with me. Philosophy’s Falling in love perfume. My camera! Canon 5D Mark III. I absolutely love everything in basket…all of my favorite things!!! One of my favorite things is coffee! I love sugar and creme natural strips yarn. So pretty and fun to work with! Scented candles are my favorites right now! Sweaters are my favorite winter/cold weather things!! I have a lot of favorites but probably family, some good chocolate and Pinterest are some of my most favorite things. Pajamas. I love my cute, comfy PJs. You can’t go wrong with a waterproof blanket–I love those! They are so nice to have with kids–they keep you dry and are easy to clean up! Right now it would have to be a big, fuzzy blanket to cuddle under while reading a good book or a fall scarf. I have to say that a good book will always be one of my favorite things! I love Burt’s bees chopstick with honey. I love insulated cooler bags for taking lunch to work or to the beach! One of my favorite things is my Big Shot! I love the lunch bag (the print is great!) and the blinged out hat. Something I’m loving right now is Juicy’s new Couture perfume. I love books and yarn! One of my absolute FAVORITE THINGS that is totally worth the extra $$ is my deodorant! I KNOW! Try it. You’ll agree and you’ll never go back. Donna Karan Cashmere Mist. You’ll live with your nose in your armpit. It’s that good. My favorites: Children’s books, Vintage pyrex, cake stands and globes. My favorite thing is to bake and spend hours in the kitchen. Coffee!!! Coffee!! Wine!! More Coffee!! My family!! Friends!!! I love photography, books about it, cameras, and websites with tips for the novice. My family, God, my dogs and the gym, not in that order. A single pearl pendant I wear almost every day. Hubs gave it to me as a V-day present the year he proposed. I love mineral makeup! Bare minerals is my fav. one of my favorite things is Earl Grey tea. I’m with you on the bling hats! Some days washing and styling just aren’t an option! My turtle necklace that belonged to my mother who passed away over a month ago. She wore it all the time + when I wear her necklace, it’s like a piece of her is with me. Fall is one of my most favorite times of year! Love it! Great gift basket! One of my favorite things in Pledge multi-use spray. I use it to clean everything! One of my favorite things are dragonflies. naps, sugar cookies, hammocks, falling leaves, kids laughing, Survivor! One of my favorite things is books! I love all the fun prints and colors! Such a fun cute basket, and LOVE everything in it! I’m loving the new to me Bia5 drinks. yum, yum! My favorite thing is my black kitty Twinkles. Or pretty hand dyed sock yarn! love the waterproof blanket! Who knew they made those! love the bling hat! Would rather wear the hat than mess with the hair on weekends! my favortie thing is coffee!!!! I love Reese Cups!! There is something about chocolate and peanut butter!! I am a huge fan of little brown tags to dress up gifts or decor. My favorite thing is the insulated cooler. Tks for the giveaway! Love rustic decor and bling! Right now one of my favorite things is leftover Halloween candy. My favorite thing is a big snuggly blanket. I love a quiet afternoon with some diet mtn. dew, salted caramels, and HGTV magazine. One of my favorite things right now are scraves! I love how I can dress up even a casual outfit and make it more fun with a simple piece of fabric! My cozy socks at bedtime. I don’t have many favorites, but I love stuff! I am willing to try anything! Favorite things: Time with family! I love scarves — any kind! One of my favorite things is hot chocolate! I love a great cup of coffee and candles with clean fresh scents. Long Fall walks with my dog. I love to give handmade jewelry, especially earrings! Photo stuff and anything I can be creative with! I love christmas ornaments…collecting ones from everywhere I have traveled! My favorite thing in your giveaway is the boot socks……love them….thanks for a great giveaway. One of my favorite things is a pretty scarf! One of my favorite things is Lenny and Eva jewelry. My 31 bags thermal lunch bag! One of my favorite things is my Saucony running shoes! My favorite thing is my dog, Harley. Rapid Lash serum for eyelash growth!! Bath and Body works a Thousand Wishes fragrance. Love it! My recliner is one of my favorite things! It’s where I can relax, watch tv, browse the web, work on crafts, talk with family and friends, sit with my dog – it’s home to me! Bath and Body Works candles! I’m obsessed! My favorite thing that I cant live without is EOS lip balm in Mint! i love fuzzy blankets and pine scented candles! My favorite thing is body sprays!! One thing that I would include in my favorite things would be . . . a box of OptiFlow blue pens from Staples – sounds silly but I work in an office and use them all day, every day and they never fail to write so smoothly and cleanly. It’s the little things, right?? I love pumpkin spice candles right now! Boot socks….I live in Alaska, need I say more??? Hahaha, boots are worn all year round! And Finally, I love the blanket. Perfect to take hiking and spread out for a picnic! My favorite item is the Bling Hat! I love anything and everything bling! Dr. Pepper, cardigans, almonds covered in coconut and chocolate are a few of my favorite things. I love snuggles from my baby granddaughter and dark chocolate! I absolutely love washi tape it is my favorite especially in my planner. My Kindle. I love just being able to pick out a new book whenever I finish one up. I love candles, and warm fuzzy blankets! Queso. Queso is one of my favorite things. A few of my favorites would be: my 4 babies, skinny jeans and tall boots. That cooler and waterproof blanket sound so cool!! A soft blanket and a good book! Candles and melts are two of my favorite things. The cute insulated bag would be perfect for the gazillion ball games I go to for each of my kids! One of my all time favorite things is coffee ! Today my favorite thing is warm socks to wear in my boots! My family is my favorite thing! I love Advent calendars. They are one of the traditions in my home. Cozy socks or slippers for lounging at home on the cold winter days/nights. Karma perfume from Lush Cosmetics! I’ve been loving my CamelBak water bottle lately. My favorite thing would probably have to be my cupcake flavored Chapstick lip balm! One of my favorite things are frogs. I love anything that has to do with frogs. I’m in love with Burt’s Bees lip balm! Good stuff! I love Bobbi Brown lip gloss! A great book to read is my favorite thing! I love when someone asks me for a book recommendation or gives me a recommendation. One of my favorite things? Milky Way Simply Caramel bars! My Toms–I LIVE in those! Fabric, and Fabric is one of my favorite things. I am completely obsessed with my new teal purse and Orbit gum. My favorite things are my family and my puppies! I love the insulated cooler. The cute blanket is my favorite. Scarves and boots are weaknesses of mine! I like the insulated cooler! Coffee, books and cozy socks!! One of my favourite things is Aurifil thread! Maybelline New York Baby Lips lip balm is one of my favorite things. Thanks for the chance to win! One of my favorite things is a big chunk of warm asiago cheese bread. With or without soup, lol. I love to find new books!! The fabulous Teal Tribal Insulated Bag is my fav!! Thanks for this chance! I love me some crafting supplies and jewelry! I love my Paperwhite Kindle! It wasn’t expensive and it holds TONS of books! And I don’t have to charge it more than every other week or so! My iPhone. It’s at least my most used item and has saved my sanity more than once (either by me using it or by calming my daughter!). My flip flops! I’m a Florida girl! One of my favorite things— cute baking supplies! Love love love them. They are not just for baking. many baking supplies find their way into a craft project in my home! My new favorite thing is bare minerals broad spectrum spf 20 powder concealer – IT IS AMAZING! I love a good scarf to “color up” an otherwise boring outfit! I love scarves, coffee, and baking accessories! One of my favorite things is my camera. It rarely leaves my side. Photographing things and people is just wonderful! Hot caramel apple cider from Starbucks! I love coffee and candles! My favorite thing is my 14 month old daughter, she is learning so much every day, I can’t get enough of watching her discover….and laugh…she makes my day! My chocolate lab, he is my baby! It is so hard to choose just one favorite thing but I would have to say my relationships; God, husband, children, grandchildren, family, friends, church. I love my new silicon baking mats. My favorite thing is coffee, a good book and a comfortable chair! Reading ……Love to read , it’s my sanity keeper . One of my favorite things is vanilla scented candles. Eggnog (totally unhealthy) but my current holiday at the moment favorite ! Thanks for the chance! One of my favorite things is books/journals and always carrying one around with me! One of my favorite things is my planner! Love the bakers twine! One of my favorite things would have to be cookie jars…..I just love them! I love the lunch bag. One of m favorite things is my camera!!! My favorite things are Christmas, puppies and chocolate. Dark Chocolate, my kids laughing, OxiClean stain remover. I love the polka dot cupcake liners! My pets are my most favorite thing in the world. I love eos lip balm. I love my Beautiful Day body cream by Bath and Body Works! My husband! Physical item… candles! I love my Bosch mixer for making bread, especially during the holidays. Love my family, my Lord and the outdoors! I love double stuffed oreos! Coffee – even better with a good book! I love me some nail polish!! Wonderful give away! One of my favorite things is luscious lip balm. I love the insulated bag! I loved colored gel pens! My sandalwood and citrus candle from Bath and Body Works! One of my favorite things is Golden Malted waffle mix. yum! I can’t live without my iPhone for pictures! One of my favorite things is chocolate covered strawberries! My weekly planner, coffee mugs and my boys! One of my favorite things right now is my UP24 band by Jawbone!! I am a runner, so it tracks my steps, but it also tracks my calories, my other exercises, and my sleep!! I can also log my food and it automatically syncs to my phone. Obsessed! What a beautiful giveaway and thanks for the chance to win. That black bag is gorgeous! Cats are one of my favourite things. My cricut is one of my favorite things! I love to create! Surprisingly enough….Issey Miyake Men’s Cologne…..yes, a woman wearing a men’s cologne….was told over 15 years ago by a dept. store perfume counter-lady to try it…..that she’d heard that “men go crazy for it.” And, she was right! It’s my signature scent….And, I’ve actually had total strangers stop me in public to ask me “what are you wearing! It seems incredible!” LOL!!! One of my favorite things lately has been infinity scarves. I LOVE the hat and want to join the washing tape craze! Dressed-up with good clothes, jewellery, shoes and makeup. Lush Enzymion Cream. Smells delicious! Winter candles from bath and body! So many things I love, but I really love ICE CREAM! I love Jamberry nail wraps. I love my shampoo and body bars. Food blogs – I am not kidding. It has opened my cooking world up to great possibililties. My Children are my favorite things. My favorite thing right now – my crochet toms! I love a yummy, vanilla scented candle. One of my favorite things right now is coconut oil. I love it for baking, but I also use ti at night for my hands. I have eczema, and it has been amazing at keeping it under control! MMMM, too many to mention. Autumn candles from Bath and Body, EOS lip balm, and scarves!!! Taking a long nap in the afternoon! Soaps from bath and body works! My favorite thing is to watch the leaves fall while drinking my coffee. My old coffee mug I use everyday! Room sprays from Bath and Body works…intoxicating smells. I am in love with Autumn for now. I love lilacs in the spring! The Indigo Chapters knitted reading socks. So cozy and warm for cold winter nights! The Hemp hand protector from The Body Shop! A good leather purse with lots of pockets! Bath and Body Works Frosted Peppermint candles really help when I get a headache. Its amazing when I have an uplifting scent on in my home how my whole attitude changes. A current favorite of mine is Dunkin Donuts Pumpkin donuts! My favorite things are yarn, shopping at craft stores, watching it snow while I drink hot cocoa! Such great gift ideas! I love the boot socks. The waterproof blanket is such a great idea! I keep a cheap plastic raincoat (insert garbage bag here) just in case and my umbrella of course! I love the blingy hat! I wear one every morning for carpool…and mostly everyday when I get so busy! I love Ice Breakers Ice Cube gum in lemon or grape. A really good cup of strong coffee!! One of my favorite things is my Kindle, I love to read. My favorite things are books – always!! White chocolate mochas from Starbucks! I love a good mascara! I’m a mascara junkie! One of my favorite things to give is Aveda’s hand lotion. It smells great and works wonders to soften my hands. One of my favorite things is my extra-large coffee mug! One of my favorite things is a pumpkin spice latte on a rainy day. the polka dot baking cups are fun. Coconut covered Cashews from Costco. So addicting, I could eat the whole container! Yum! I love post-it notes. I use them for everything! I keep my Christmas purchases organized with post-its and magnetic lists. Also, I love my rice-filled heating pad. My favorite thing right now is Christmas decorating with mason jars and burlap! I love the baby leggings you feature my kids love them. Love the blinged out hat! Loving my Chemex right now! one of my favorite thing is eating cookies for breakfast! Burt’s Bees colored lip balm! One of my favorite things is Project Life! My favorite thing is a cute pair of boots! I have never tried boot socks before, I see that a pair is being offered in your giveaway….keeping my fingers crossed because there are so many cute things in your giveaway! One of my favorite craft products is diamond glaze. It dries clear with a nice hard, shiny surface leaving your project looking fabulous. one of my favorite things is my church family from Zion’s River, they are the best! My Kindle, My essential oils, My family! My favorite thing is anything gingerbread or pumpkin. I’m loving scarves this season! My new purple Lands End wool coat – love, love, love it! tarte cosmetics “lights, camera, flashes” mascara. seriously, the best mascara, ever. One of my favorite things is coffee. ..daily! I love Trader Joe’s dark chocolate covered ginger! It’s the perfect bite sized treat. Lip Balms – all flavors and brands! I love nail polish and mineral makeup as well! it may sound corny to many, but one of my favorite things is my Bible. It reminds me of God’s promises when I doubt things because of how stressful life is. My under armor yoga pants! Waterproof blanket? I want one of those! I love my Contigo coffee mugs! I love fun glasses to drink out of!